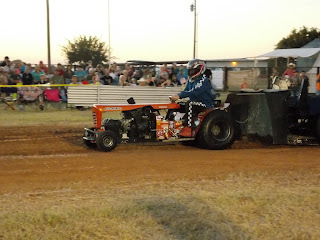 The 2015 Lone Star Garden Tractor Pullers Association Championship points have been tallied, and we will congratulate our champions and present awards on November 14, at Baker's Ribs in Caddo Mills, Texas ! 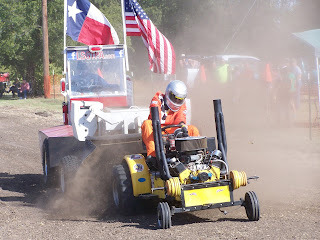 The Lone Star Garden Tractor Pullers Association teams converged on the Rockdale Fairgrounds for the 2015 LSGTPA Season Finale, held as a feature of the Rockdale Fair & Rodeo. 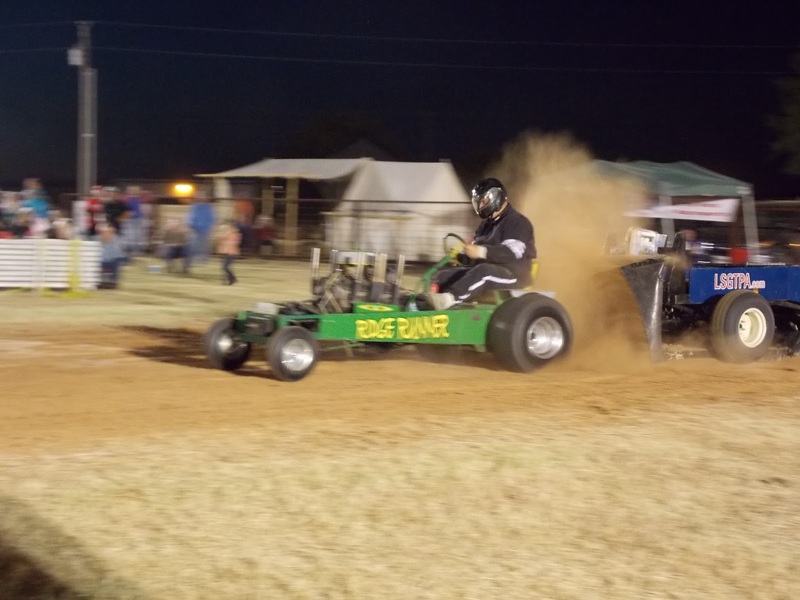 The teams would compete on the historic Rockdale Horse Race Track, in two rounds of tractor pulling action to decide the titles in each of ten classes of tractors. Arlen Foulks with Racers For Christ would deliver the invocation, followed by our National Anthem presentation by local talent Tashon Chamblee. 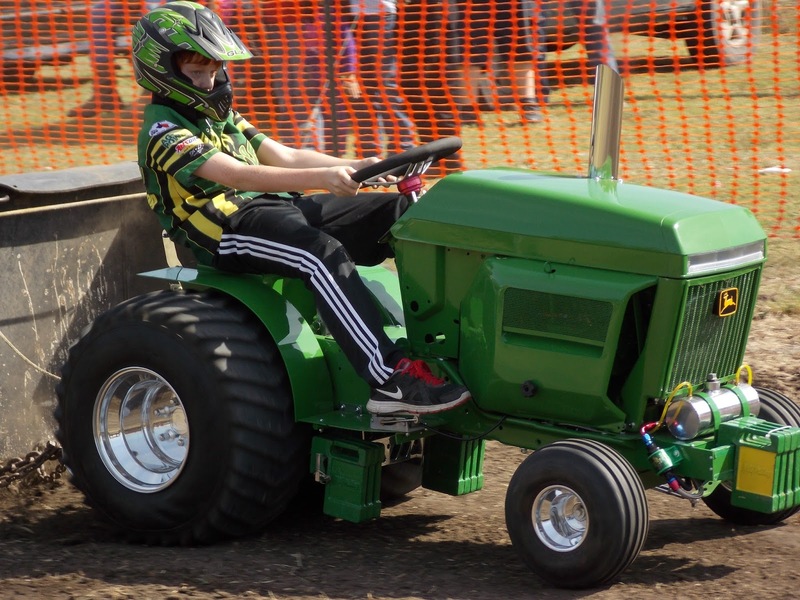 The Youth Class competitors would take to the historic sand and clay track surface first, with Kody Langham taking the crown aboard his Longhorn Express Pulling Team tractor. Lane Duncan would ride his 'Texas T-Rex' mount to the runnerup finish, with Jared Stephan taking the third place position aboard his 'Iron Head' entry. Lane Duncan would pilot the 'Yes Deere' tractor, to a fourth place finish, riding as a hired gun for the Mean Green Pulling Team. Lane Duncan rides 'Texas T-Rex' downtrack at the Rockdale Fair & Rodeo LSGTPA tractor pull. Stock Class was won by Claude Lewis, with Jimmy Helfferich placing and James Helfferich turning in a show finish. The Hot Stock title was taken by Aidan Hovind, aboard his 'Yes Deere' tractor. Jimmy Helfferich would place second in the class. 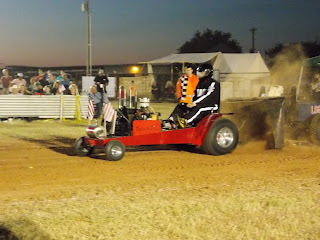 In Stock Diesel, Ken Langham rode to the victory aboard his Longhorn Express Pulling Team entry. 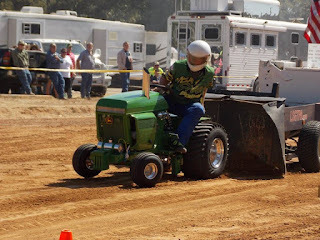 Steve Hovind would place his 'Buck Shot' tractor in the runnerup spot for the Mean Green Pulling Team. Jimmy Helfferich would place third, after suffering drive train damages aboard his diesel entry. 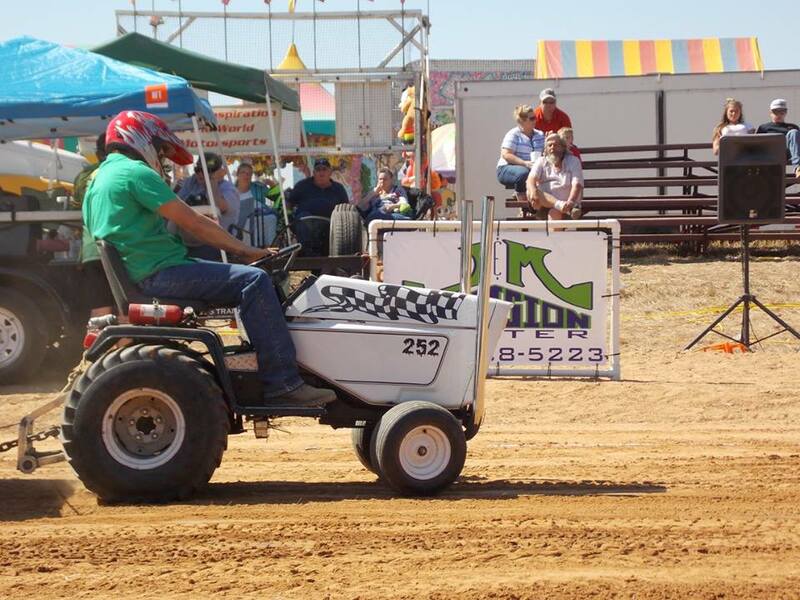 Steve Hovind pilots his 'Buck Shot' machine, during LSGTPA Stock Diesel Class competition in Rockdale. In Big Stock, Jerry Toland would jockey his 'Triple Deuce' entry to the crown. Jimmy Helfferich would turn in a second place finish, with Alton Degner placing 'It'll Do' in third place. 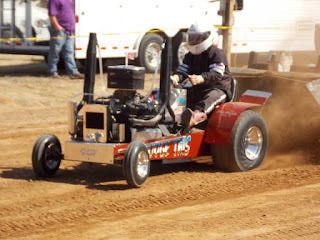 Michael Mayberry would take the victory in the Stock Altered Class, using a Full Pull aboard his 'Pulling For Peanuts' machine to take the top honors. 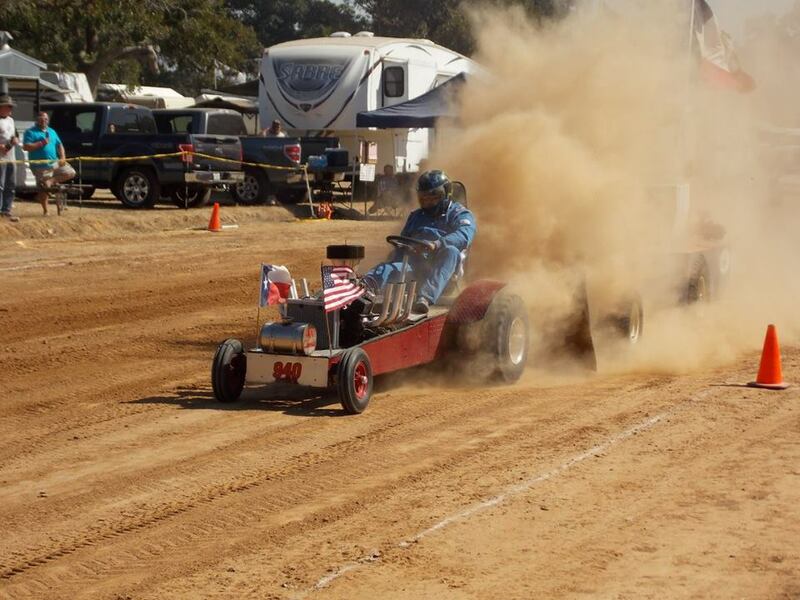 Alton Degner hangs onto 'It'll Do', pulling on the historic Rockdale Horse Race Track. 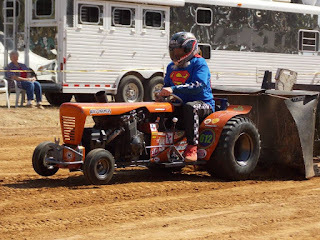 Paul 'Superman' Smith would double down, aboard his 'Texan' tractor in Rockdale, taking the titles in both Motorcycle Class and Outlaw Class. 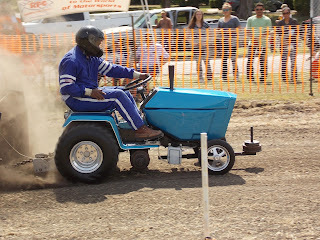 The Mini Rod Class tractors had a super close field of entries. 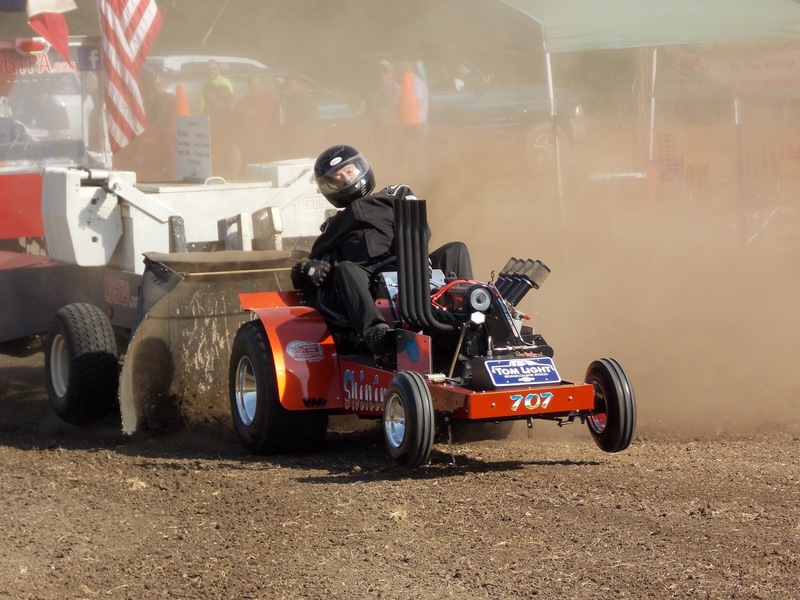 Jerry Toland used a Full Pull in the opening round, aboard his 'Shinin Time' machine, to take the top spot. David Houchen also turned in a Full Pull performance on his first round, to place his 'Back In The Day' machine in the runnerup spot. Colby Crowe and his 'Weekend Warrior' mount would finish in the third place position, with Sarah Crowe placing fourth aboard her '99% Moody' tractor. Corbin Crowe would use two solid runs to place in the top five on the day. Paul 'Superman' Smith doubles down aboard his 'Texan' tractor, taking wins in both Motorcycle and Outlaw Classes. 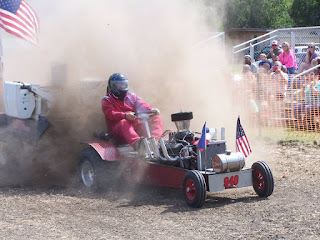 The Super Rod Class tractors would close the show on a great day of pulling, with Ken Langham using a Full Pull to seal the deal for the Longhorn Express Pulling Team. 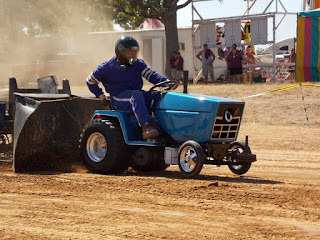 John Kiemele would place his 'Dodge This' tractor in the runnerup spot, with Randell Moody placing his 'Ridge Runner' tractor in the third place position. Colby Crowe works his 'Weekend Warrior' tractor downtrack, during the LSGTPA event in Rockdale. Enloe Museum would provide Youth Class trophies for the event, which featured a jar of the historic Rockdale Race Track surface mounted on a cedar plaque milled and provided by Rocky Young. 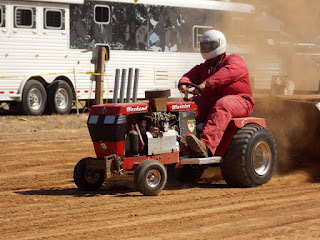 Michael Mayberry takes the Stock Altered title, aboard his 'Pulling For Peanuts' tractor. 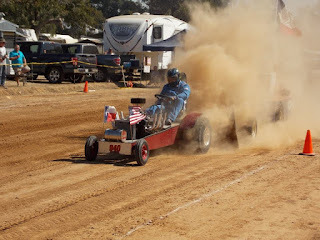 Ken Langham pilots his Longhorn Express Pulling Team machine to a Full Pull and a Super Rod Class win. Jimmy Helfferich pulls to a runnerup finish, in the Hot Stock Class at Rockdale. 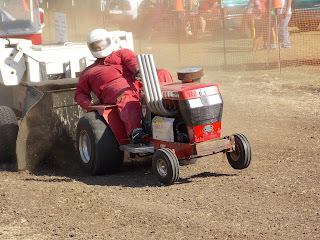 John Kiemele wheels his 'Dodge This' machine downtrack at the Rockdale Fair & Rodeo tractor pull. 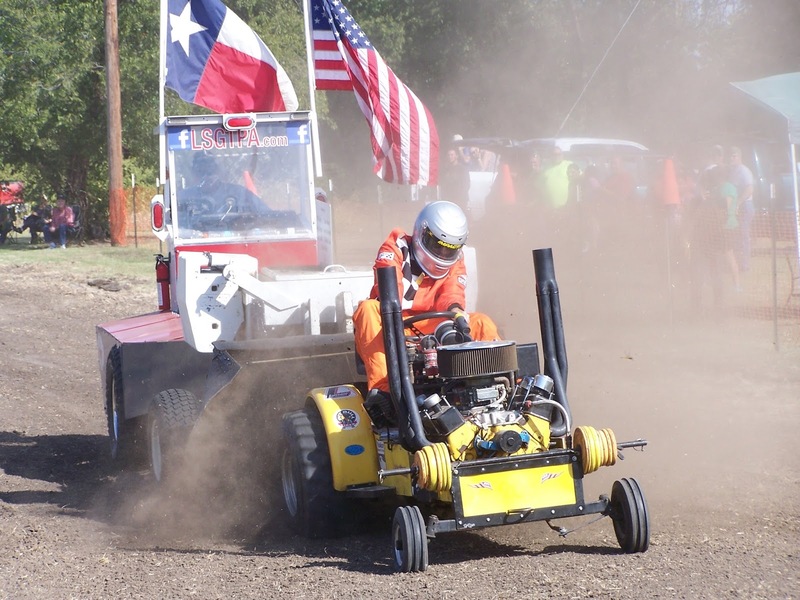 The Lone Star Garden Tractor Pullers Association teams will roll into Rockdale, Texas for the 2015 Season Finale on Saturday, October 17. The event is a feature of the 40th Annual Rockdale Fair & Rodeo, and is scheduled for a 12 noon start. 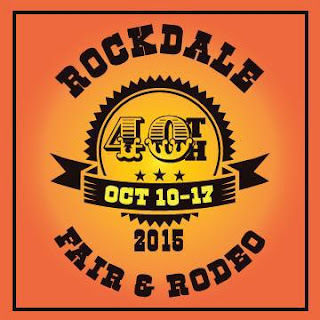 Competition will be held on a 200' track, on the historic Rockdale Horse Racing Track surface in the Rockdale Fairgrounds. 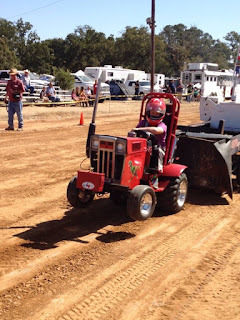 The Lake County Antique Tractor Club, and the Lone Star Garden Tractor Pullers Association teams, were a feature of the Help-A-Child Benefit event held in Sulphur Springs, Texas. 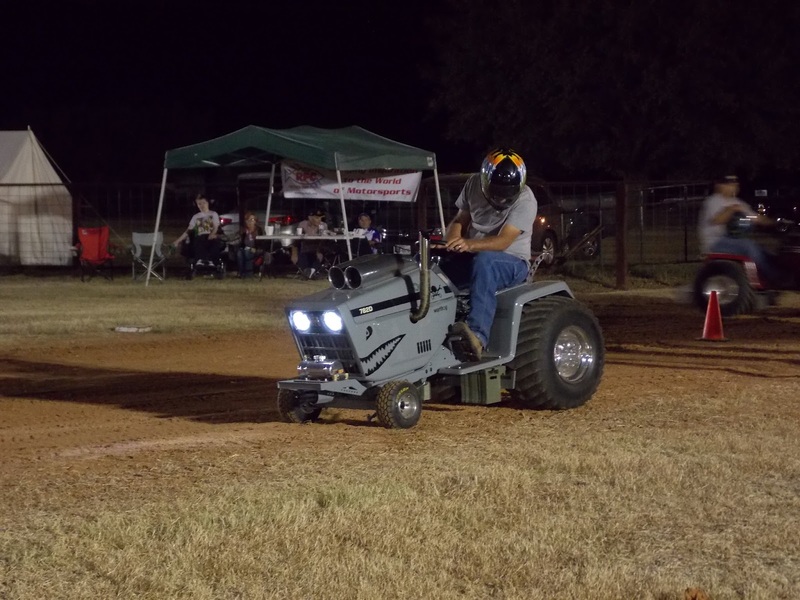 Lake County Antique Tractor Club pullers took to the red sand and clay mix track during the day, with the LSGTPA teams competing under the lights on Saturday night. Fans were treated to a great night of pulling for a great cause. The LSGTPA Youth Class competitors took to the track first, during the evening competition. 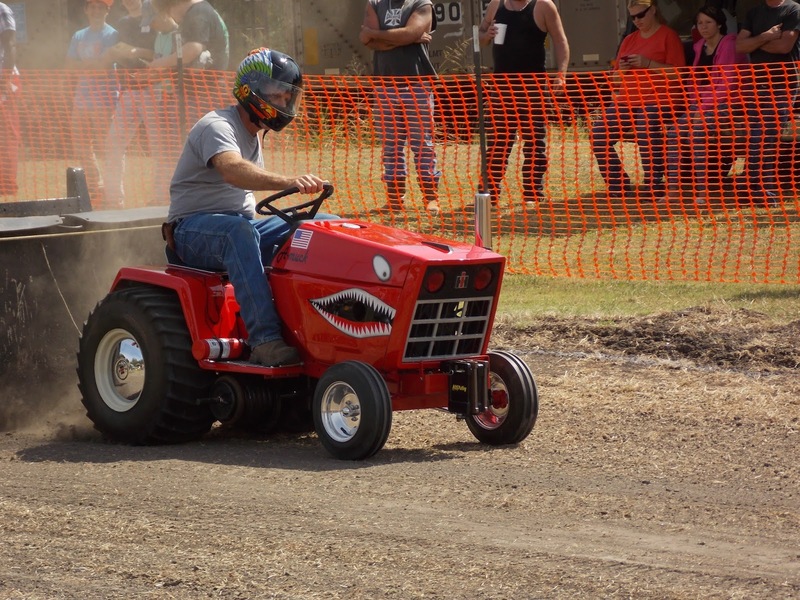 Jared Stephan placed his 'Iron Head' tractor in the top spot, for the Moody Pulling Team. 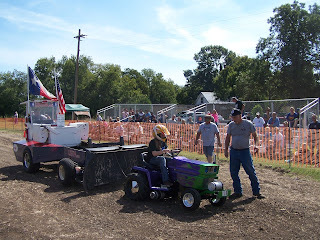 Kody Langham and his Longhorn Express Pulling Team entry placed second, with Mason Hovind placing third aboard his 'Yes Deere' tractor for the Mean Green Pulling Team. Lane Duncan piloted his 'Texas T-Rex' machine to a fourth place finish, following a wheels up pass in the second round, which carried the tractor out of bounds for a disqualification. Jared Stephan lets the clutch out on his way to a win at the Help-A-Child Benefit in Sulphur Springs. In Stock, Claude Lewis landed atop the field, with Jimmy Helfferich scoring the runnerup and James Helfferich placing third. Hot Stock Class was taken by John Aufdenkamp aboard his 'Rusteze' machine, with Aidan Hovind scoring the runnerup aboard his 'Yes Deere' entry. The popular Stock Diesel Class was decided by a margin of two feet, with Patrick Bramlett piloting his 'Warthog' tractor to the victory. 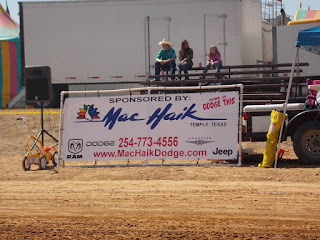 Ken Langham, Jr. placed his Longhorn Express Pulling Team entry in second, with Steve Hovind pulling to a third place finish aboard his 'BuckShot' tractor. James Helfferich pulled to a fourth place finish. 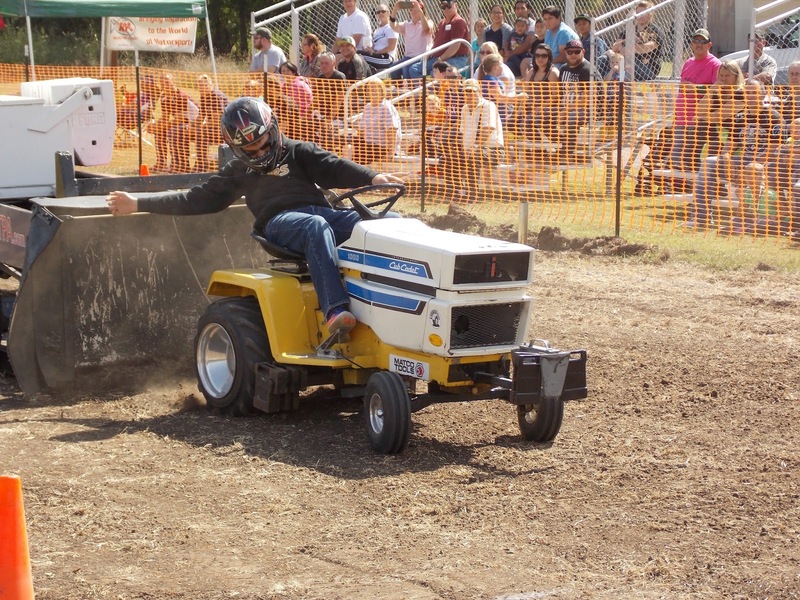 Steve Hovind rolls coal aboard his 'Buck Shot' Diesel Class Tractor. In Big Stock Class, John Aufdenkamp scored the win aboard his Outlaw Pulling Team tractor. 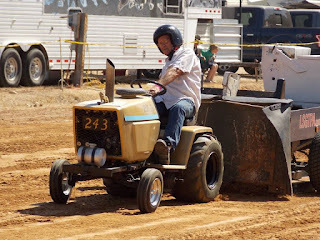 Jerry Toland placed second, aboard his 'Triple Deuce' tractor. Patrick Bramlett scored a podium finish in the third place spot, with his 'Amuck' machine. Ken Langham Sr, drove to a fourth place finish aboard his 'Texas Thunder' tractor, while Jimmy Helfferich scored a top five finish. 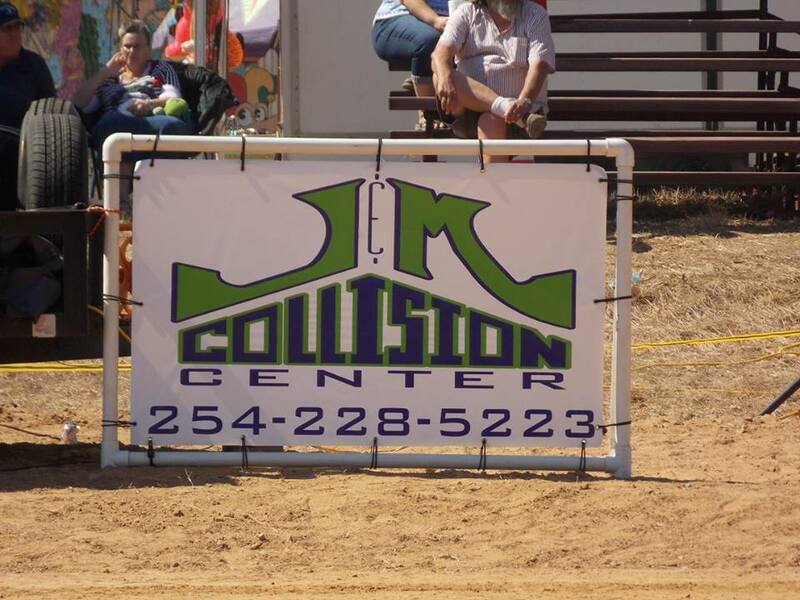 John Aufdenkamp pilots his Outlaw Pulling Team entry downtrack in Sulphur Springs. In Stock Altered, John Aufdenkamp took the victory aboard his 'Under The Influence' machine, for the Outlaw Pulling Team. 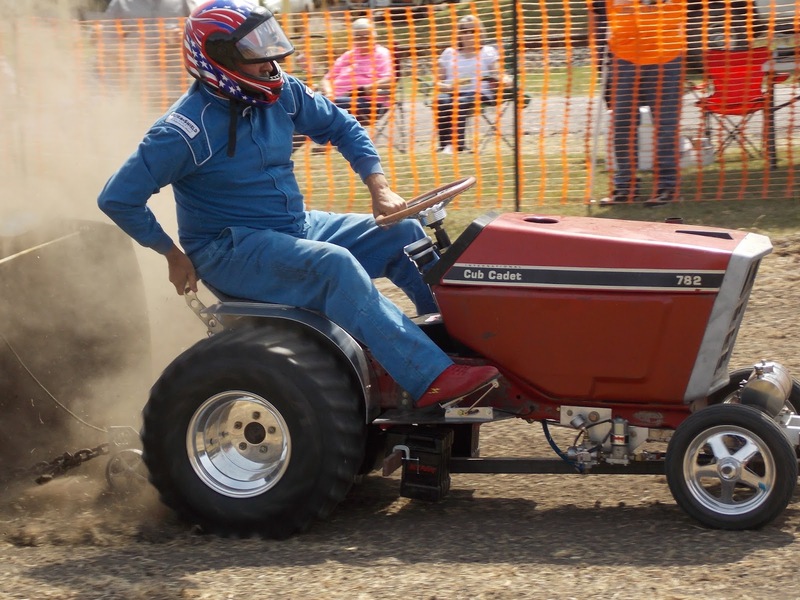 In Motorcycle Class, Paul Smith used a Full Pull to take the title aboard his 'Texan' tractor. 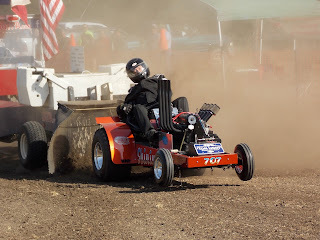 Steve Pierce scored the runnerup finish, riding his 'Buzzards Roost' machine, after a wild, driveline wounding first round pull. Paul Smith would use another Full Pull aboard his 'Texan', to double up and score another win in the Outlaw Class. 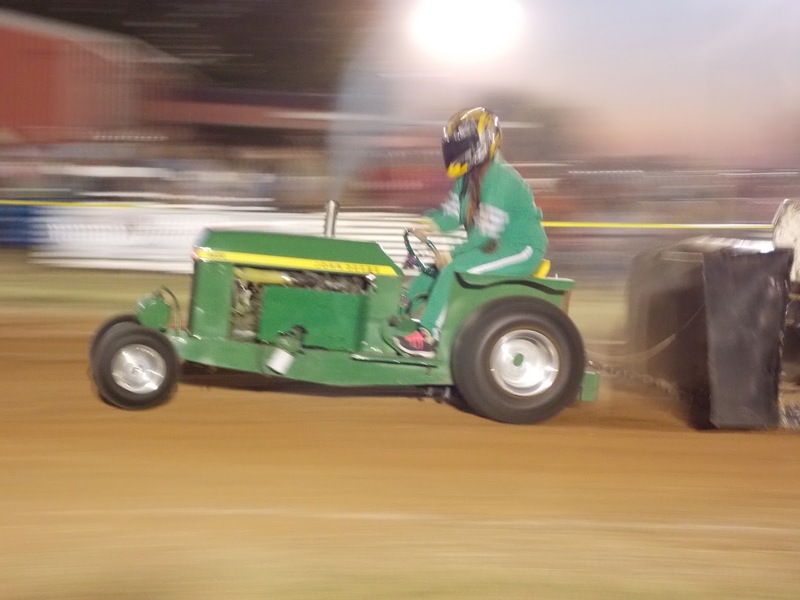 Paul Smith pilots his 'Texan' tractor to a Full Pull and the victory in Sulphur Springs. Sarah Crowe pilots her '99% Moody' tractor under the lights in Sulphur Springs. 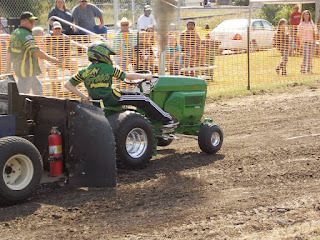 In Mini Rod Class, David Houchen scored the win aboard his 'Back In The Day' tractor, using a first round Full Pull to secure the win. Jerry Toland would place his 'Shinin Time' entry in the runnerup spot. 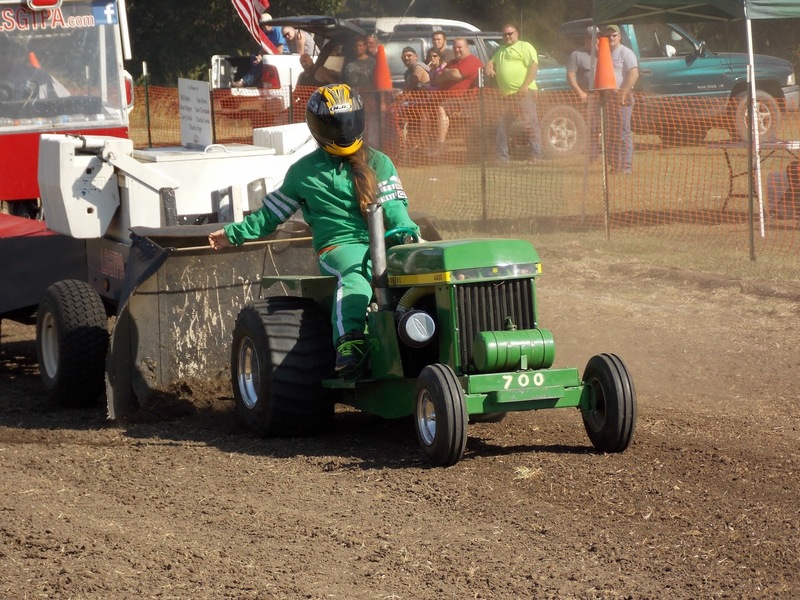 Sarah Crowe landed in the third place spot, aboard her turbocharged diesel '99% Moody' tractor. Colby Crowe would pull to the fourth place finish, aboard the 'Weekend Warrior' machine. David Houchen scores the victory in the Mini Rod Class at Sulphur Springs. The Super Rod Class title belonged to Ken Langham Sr, aboard his Bonham Service Center machine. 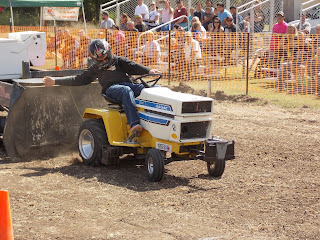 John Kiemele scored the runnerup finish, aboard his 'Dodge This' tractor. 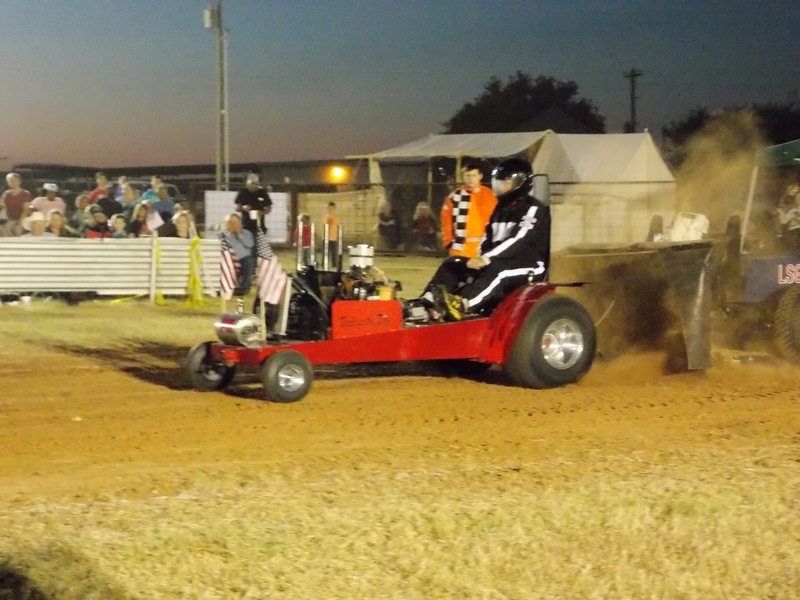 Thomas Kimmons and 'Fired Up' would pull to a third place finish, with Randall Moody and the 'Ridge Runner' entry scoring a fourth place on the night. 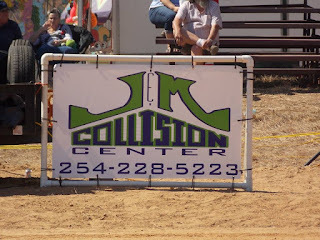 LSGTPA teams will now prepare for the 2015 Season Finale, held in conjunction with the Rockdale Fair & Rodeo in Rockdale, Texas. 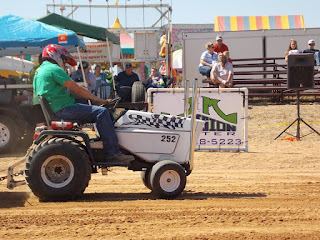 The last pull of the year is scheduled for a 12 noon start, on Saturday October 17th, and will be contested on the historic Rockdale Fairgrounds Horse Racing Track. Randall Moody and 'Ridge Runner' kick up the dust in Sulphur Springs. Thomas Kimmons gets 'Fired Up' under the lights in Sulphur Springs. 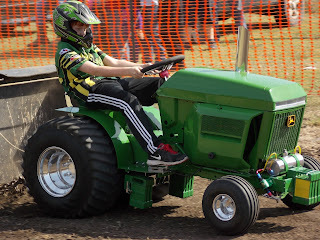 Lane Duncan carries the wheels high on 'Texas T-Rex', during the Help-A-Child Benefit tractor pull. 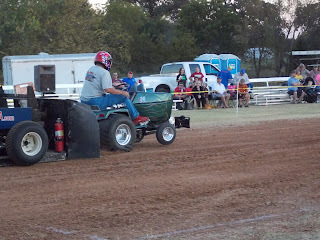 Patrick Bramlett prepares to take to the runway, aboard his 'Warthog' tractor. The Lone Star Garden Tractor Pulling Association teams rolled into Farmersville, during the Old Time Saturday celebration. 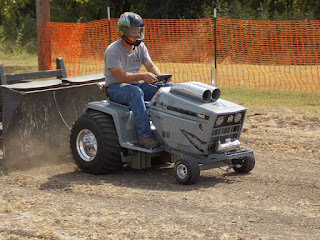 Two rounds of exciting LSGTPA tractor pulling action was contested at the Rike Street Park, with over 30 teams from throughout Texas onhand for the competition. 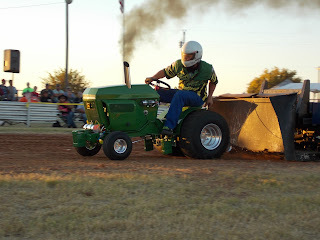 Great weather and good track conditions made for an excellent day of tractor pulling. 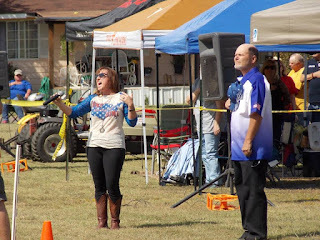 Arlen Foulks of Racers For Christ delivered the invocation during opening ceremonies, followed by an awesome National Anthem performance by Jennifer Chiappone. Jennifer Chiappone performs the National Anthem during LSGTPA opening ceremonies in Farmersville. 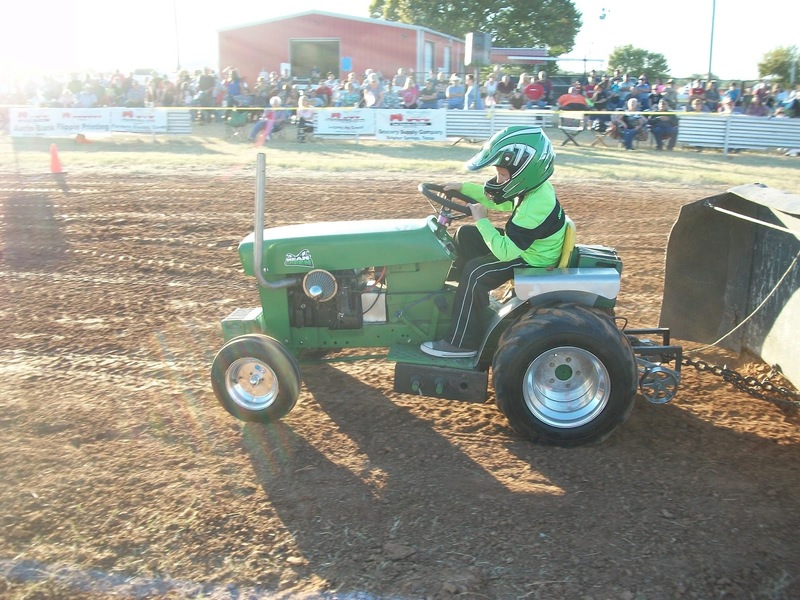 The Youth Class competitors took to the track first, with Mason Hovind taking the win aboard his 'Yes Deere' tractor. Lane Duncan drove to the runner-up finish, aboard his 'Texas T-Rex' machine. Jared Stephan placed his 'Iron Head' tractor in the third position, with Cassidy Bramlett taking fourth with her 'Nacho' tractor. 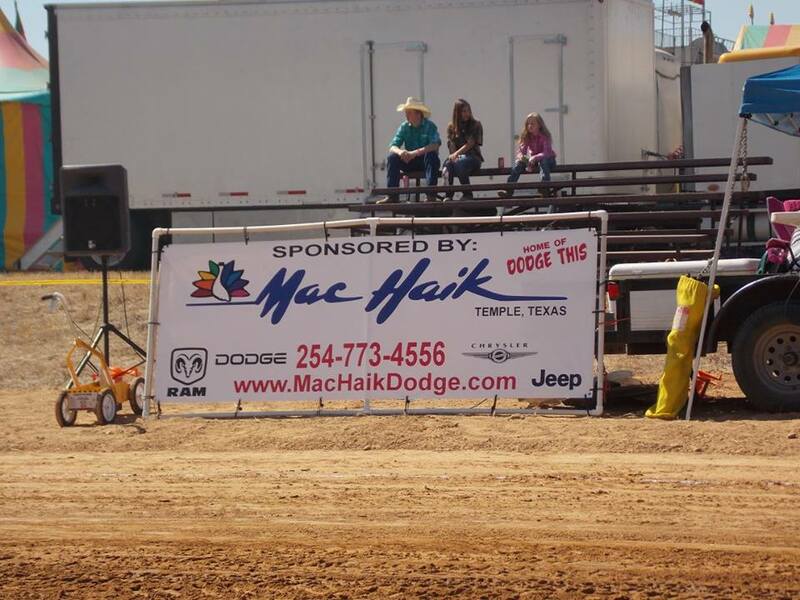 Kody Langham scored a top five finish, with his Longhorn Express Pulling Team tractor. Kody Langham works his way downtrack aboard is Longhorn Express Pulling Team tractor. Lane Duncan pilots his 'Texas T-Rex' tractor, during the Old Time Saturday tractor pull. In Stock Class, Claude Lewis took the win over the team entries of James and Jimmy Helfferich. 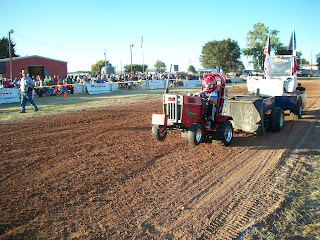 In Hot Stock, John Aufdenkamp lead the field aboard his 'Rusteze' tractor. 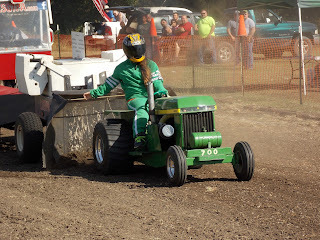 Aidan Hovind placed his 'Yes Deere' tractor in the runner-up spot for the Mean Green Pulling Team. Kolby Langham drove to a third place finish aboard his Bonham Service Center entry. Jimmy Helfferich pulled to a fourth place finish. Aidan Hovind and 'Yes Deere', at work during the LSGTPA event in Farmersville. Aidan Hovind rolls coal aboard his 'Buck Shot' diesel tractor in Farmersville. In Stock Diesel, Ken Langham, Jr. pulled out the victory aboard his Longhorn Express Pulling Team tractor. Patrick Bramlett scored a second place finish, aboard his awesome looking 'Warthog' tractor. Steve Hovind drove his 'Buck Shot' tractor to a top three finish, for the Mean Green Pulling Team. James Helfferich placed his diesel entry in the fourth place position. In Big Stock, Kolby Langham took the title aboard his 'Texas Thunder' machine. Jerry Toland placed his 'Triple Deuce' tractor in second, with John Aufdenkamp pulling to a third place podium finish. Patrick Bramlett ran his 'A-Muck' tractor to a fourth place finish, with Jimmy Helfferich turning in a top five finish. Cassidy Bramlett pilots her 'Nacho' tractor, during the Old Time Saturday event in Farmersville. Patrick Bramlett pilots his 'Warthog' tractor, during the Old Time Saturday LSGTPA tractor pull. In Stock Altered, John Aufdenkamp drove his alcohol burning 'Under The Influence' tractor to the victory. 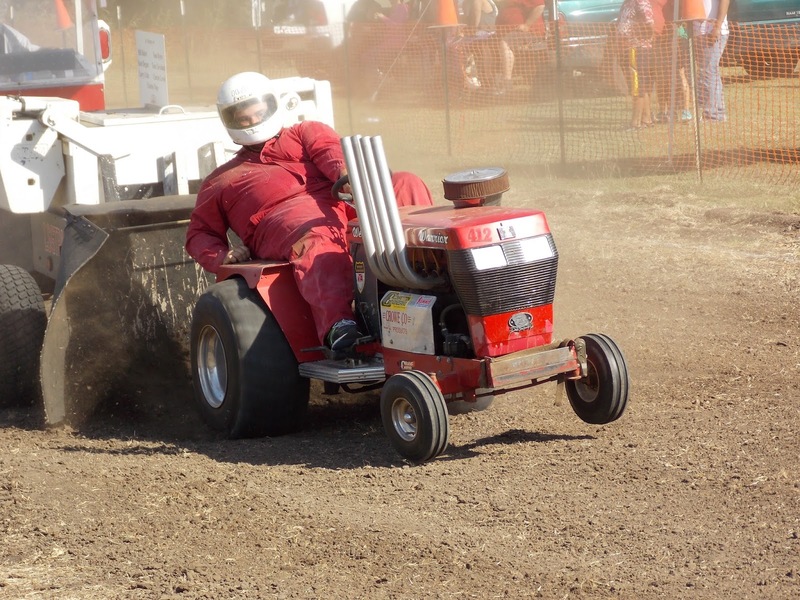 Michael Mayberry finished in the runner-up position, aboard his 'Pulling For Peanuts' machine. In Motorcycle Class, Steve Pierce took the top spot aboard his 'Buzzards Roost' tractor. 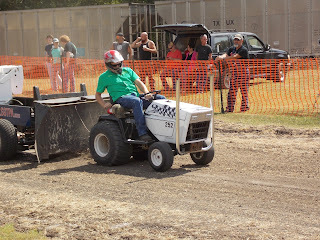 Paul Smith and his 'Texan' tractor, scored the runnerup finish. Paul Smith would return to take the win, with his 'Texan' tractor, in the Outlaw Class. 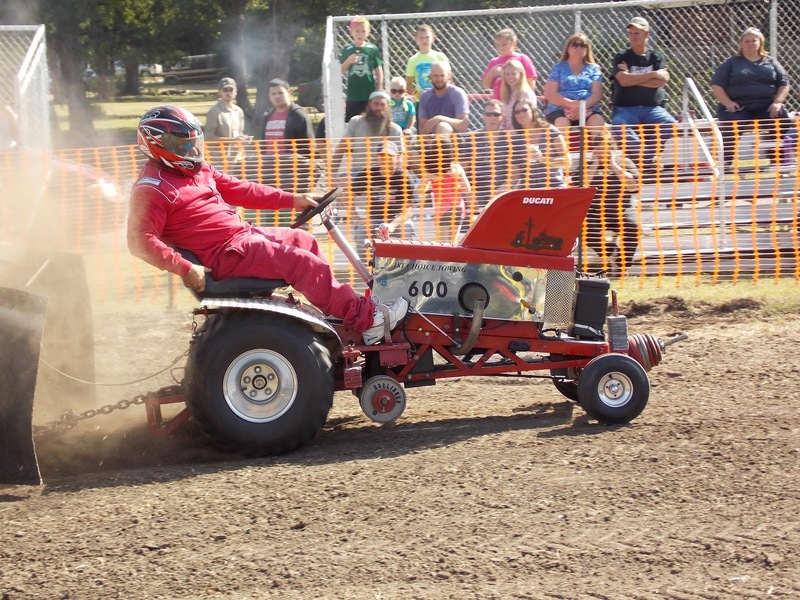 Patrick Bramlett runs 'A-Muck', at the Old Time Saturday tractor pull. 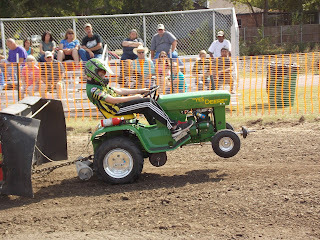 The Mean Green Pulling Team competed with 'Buck Shot', with Aidan Hovind at the wheel. John Aufdenkamp scores a win with 'Under The Influence', during LSGTPA competition. The Mini Rod Class tractors put on a great show, with Colby Crowe taking the win aboard his 'Weekend Warrior' tractor. Sarah Crowe finished in the runner-up spot, aboard her turbocharged diesel entry, '99% Moody'. 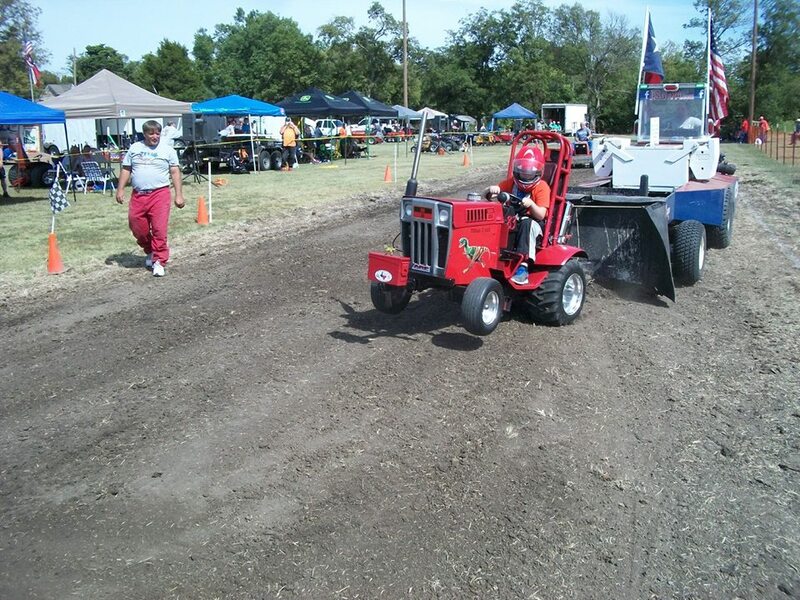 Jerry Toland pulled to a top three finish aboard his 'Shinin Time' tractor. Thomas Kimmons pulled to a fourth place finish, with a second round engine damaging pull. David Houchen pulled to a top five finish, aboard his 'Back In The Day' tractor. Sarah Crowe steers her '99% Moody' Mini Rod Class tractor downtrack in Farmersville. Colby Crowe works his 'Weekend Warrior' tractor down the Farmersville track during Old Time Saturday. The Super Rod Class tractors closed the show in spectacular fashion, with Thomas Kimmons piloting his 'Fired Up' machine to victory. 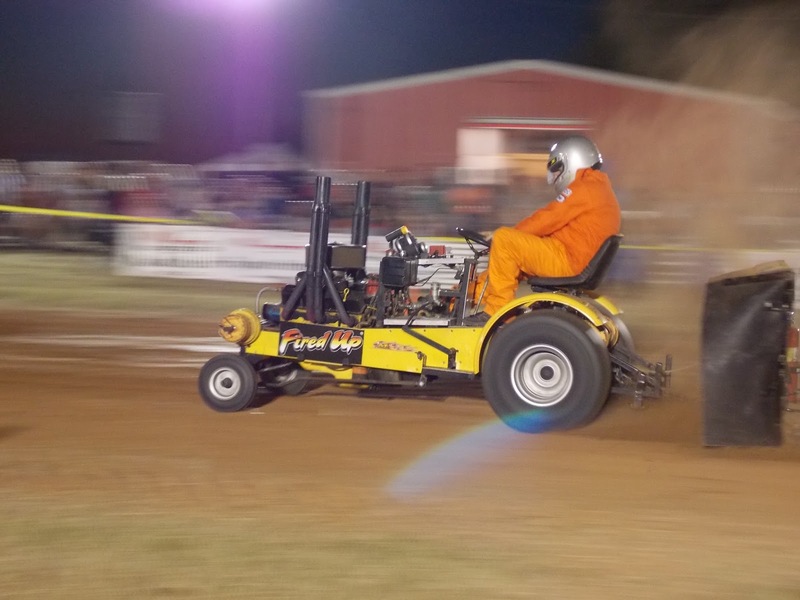 Ken Langham, Sr. pulled out the runner-up finish, aboard his Bonham Service Center machine. 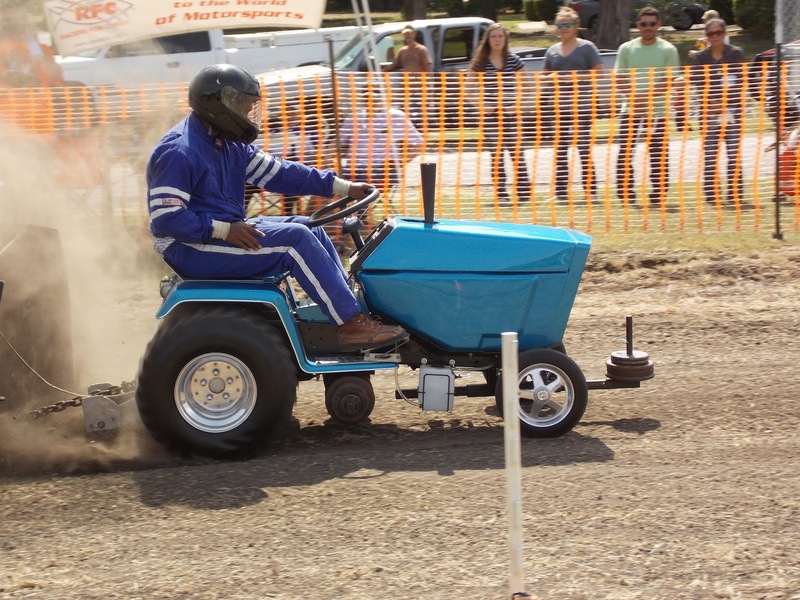 Randall Moody and his 'Ridge Runner' tractor pulled to a podium finish in the third place spot. 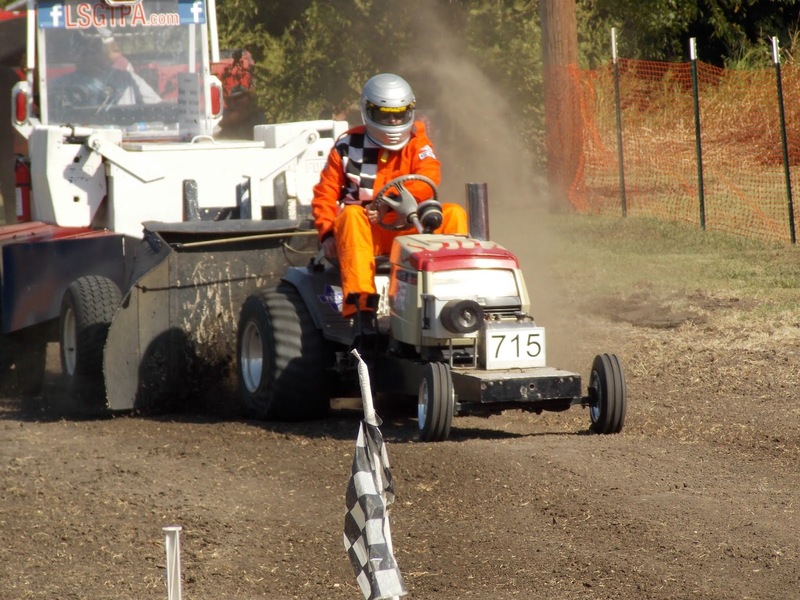 John Kiemele took his 'Dodge This' tractor down track to a fourth place finish. Jerry Toland aboard 'Shinin Time', makes a nice pass during LSGTPA competition in Farmersville. Ken Langham lays down some power, aboard his Longhorn Express Pulling Team tractor. 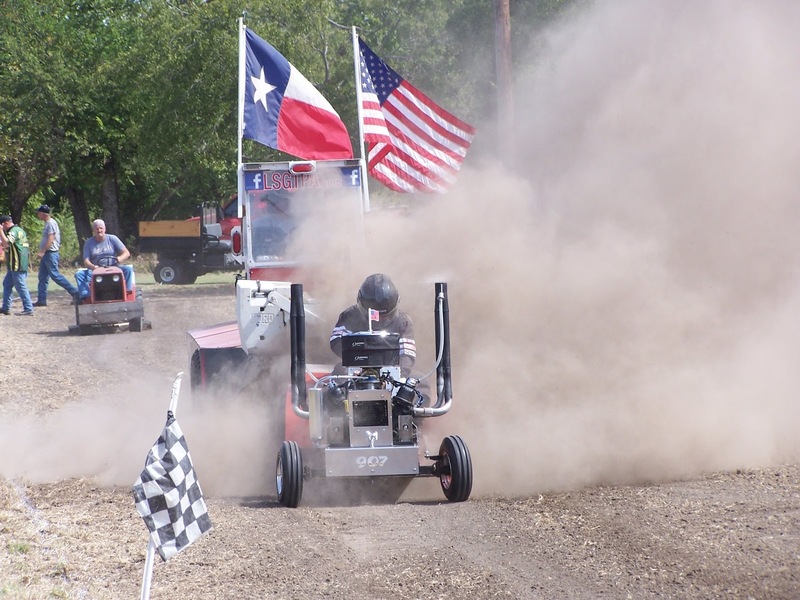 An added bonus of the LSGTPA event during Old Time Saturday, was a special Pull Off between the Farmersville Fire Department and the Farmersville Police Department. Chief Michael Sullivan took his 'Fired Up' entry to the victory, for the Farmersville Police Department, in a super close match. Chief Kim Morris piloted his 'Longhorn Express' entry to the runner-up finish, just inches behind the leader, for the Farmersville Fire Department. Alex Jesko wheels the 'Fired Up' tractor, for Team Kimmons. 'Dodge This' kicks up a cloud, with John Kiemele at the helm during the LSGTPA event in Farmersville. The LSGTPA teams will prepare for the next event, to be held in Sulphur Springs, Texas. For more information, please see www.lsgtpa.com. James Helfferich works his way downtrack, during the Old Time Saturday pull in Farmersville. Michael Mayberry works his way downtrack, aboard 'Pulling For Peanuts', during LSGTPA competition. Steve Pierce pulled to a win aboard 'Buzzards Roost', in the LSGTPA Motorcycle Class. Alex Jesko works his Kimmons Pulling Team entry downtrack in Farmersville.